Hello everyone! 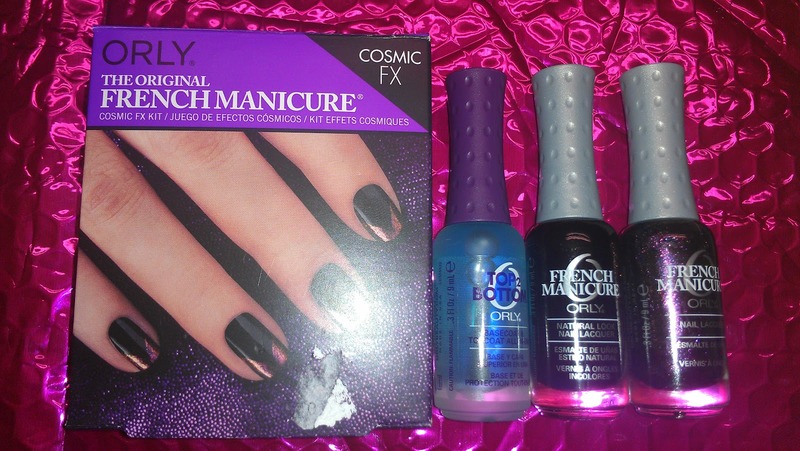 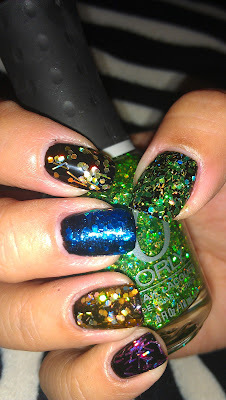 I recently picked up a little set at Sally's, it came with 3 skinny Orly bottles: Top 2 Bottom, Liquid Vinyl and Space Cadet. 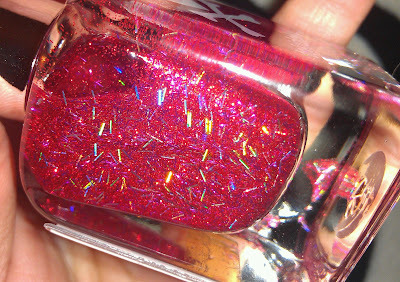 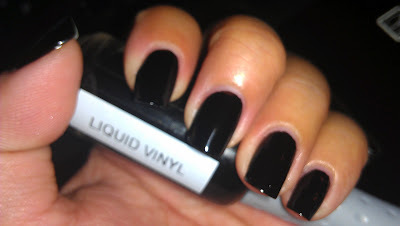 I also had tons of glitters I had been wanting to try, I have 10 fingers so I went with 10 glitters over Liquid Vinyl. 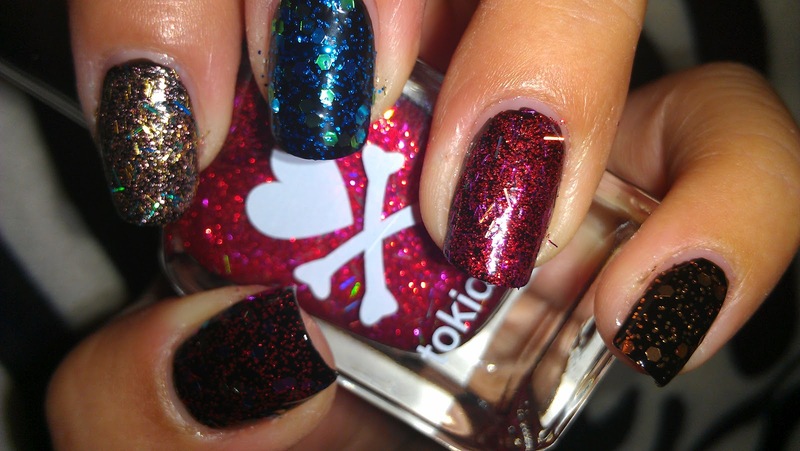 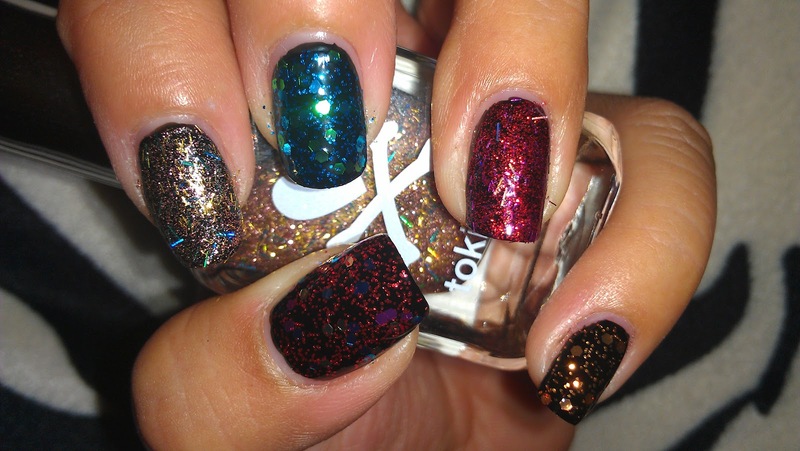 On my left hand I used: (from Left to Right) Jordana Glitters Sequins, tokidoki SANDy, Jordana Glitters Cosmic, tokidoki Donutella and Jordana Glitters Copper Blaze. 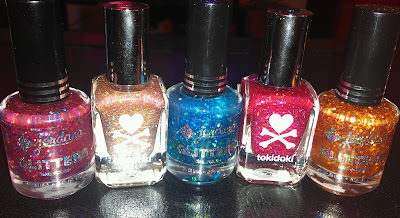 I have to show you these cute stickers/decals that came with the tokidoki bottles! 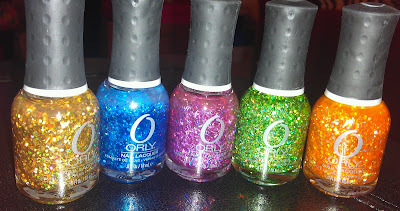 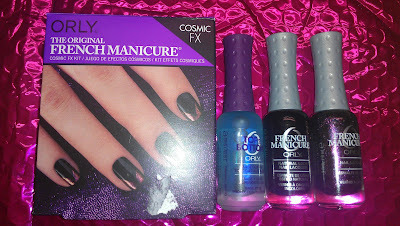 For my right hand I went with the 5 Orly Flash Glam FX glitters I have! 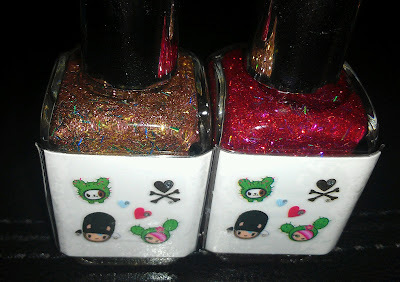 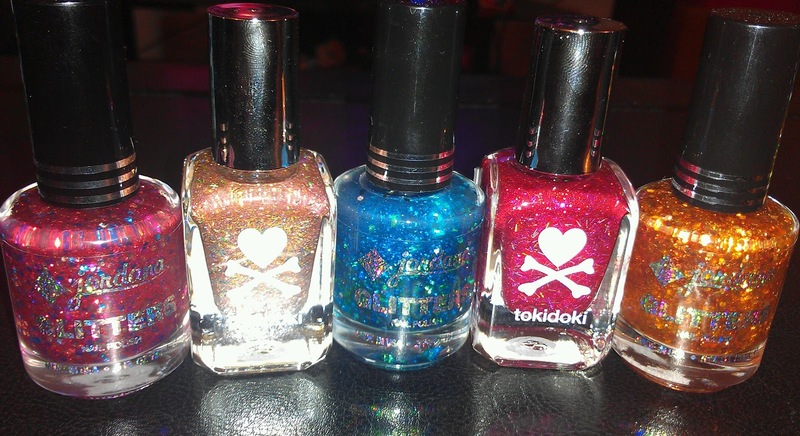 From Left to Right: Sashay My Way, Spazmatic, Be Brave, Monster Mash and Right Amount of Evil. 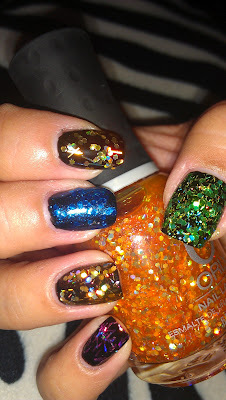 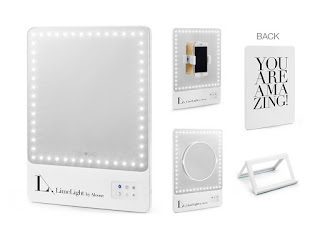 Oh wow Loving the glitter overload! 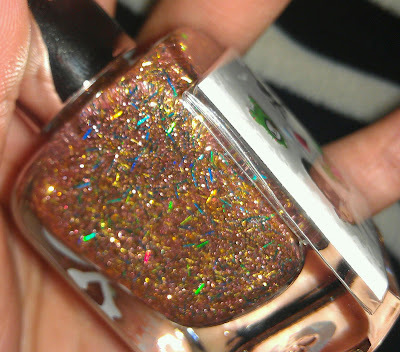 I love glitter!! So much more fun than "regular" colours.